On Friday, March 15, 2019, Tarheel ChalleNGe Academy – New London graduated 109 cadets from the ChalleNGe program. These cadets were a part of Class 51 which began on Saturday, October 13th. 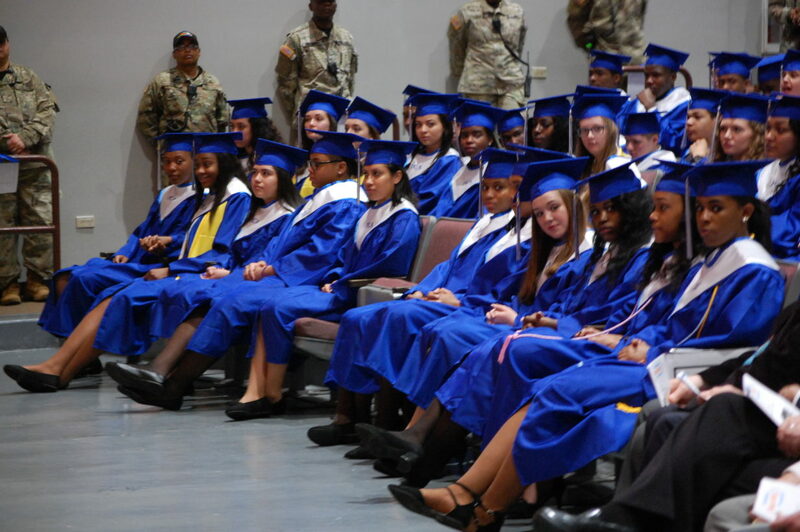 These cadets set record numbers for academics earning a record number of academic awards for their HiSET testing as well as setting a record number of platinum levels in the Career Readiness Certificate testing. Class 51 cadets have plans to continue their success in higher education, Job Corp training, entering the workforce and joining the military. TCA New London is very proud of Class 51 and wish them well!